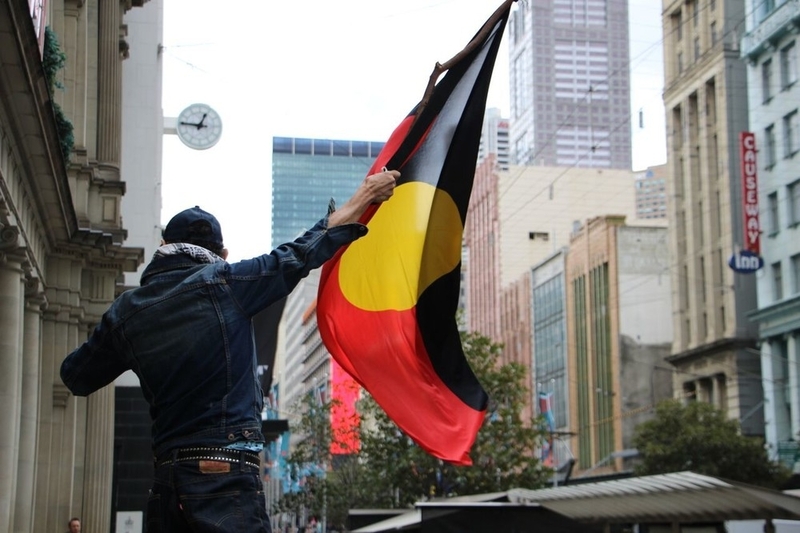 On Tuesday in major cities across Australia Indigenous rights activists gathered for the one year anniversary of the death of Yamatji woman Ms Dhu, who died in police lock-up in South Hedland, Western Australia, after medical complications. Despite being almost the exact opposite side of the country from where that death occurred, Kutcha was singing to the dozens who gathered to mark the date and protest for justice as well as reform. The song was for the white-collar workers rushing by.